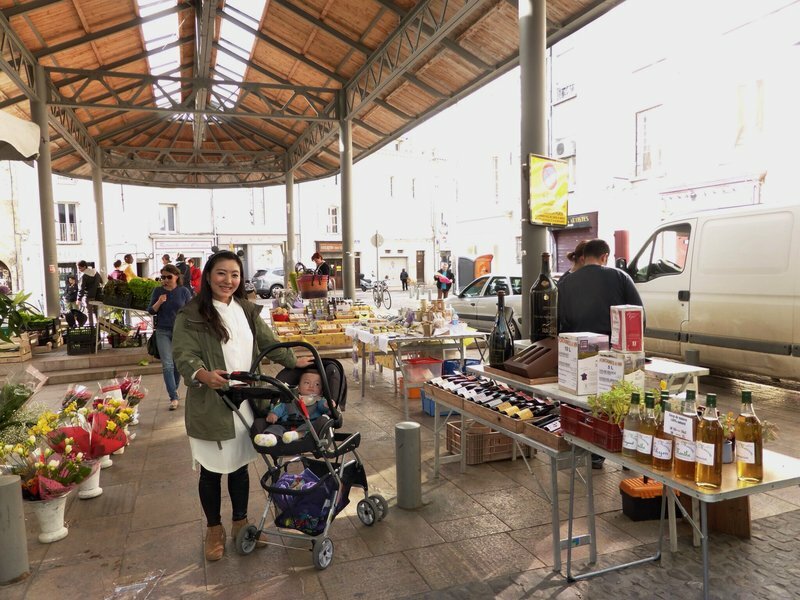 Our goal for our stay in Avignon was to visit a different farmer's market every day of the week and to explore as many of the surrounding small towns as we could. 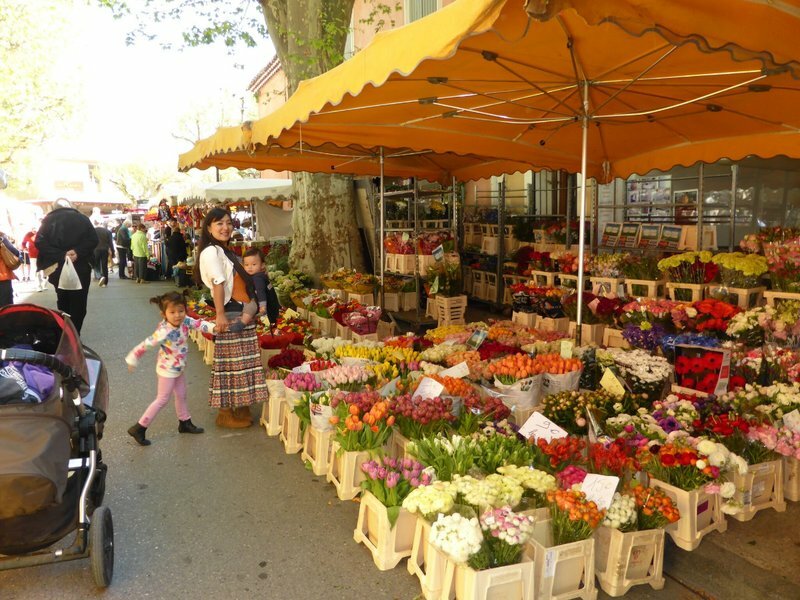 That meant getting up every day at seven and getting on the road by nine, since the Provence markets generally close around one in the afternoon and are often losing steam by noon. 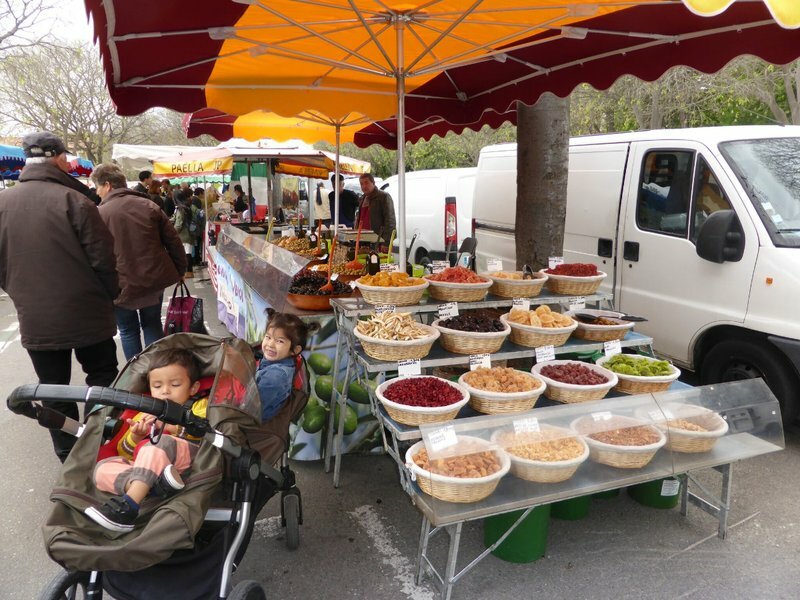 Saturday morning we took a quick spin through Avignon's own weekly farmer's market but found it rather sparse, so we soon got on the road to the famous Saturday market in Arles. 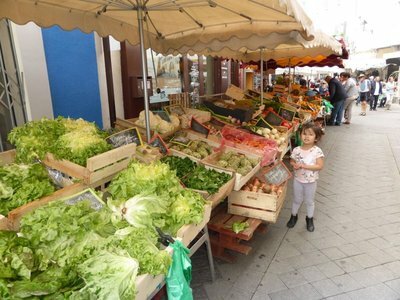 The Arles market lived up to its reputation, boasting stalls laden with fresh vegetables, various types of meats and sausages, and cheeses along a lengthy street in the center of town. We betrayed our inexperience by dawdling too long at the beginning. 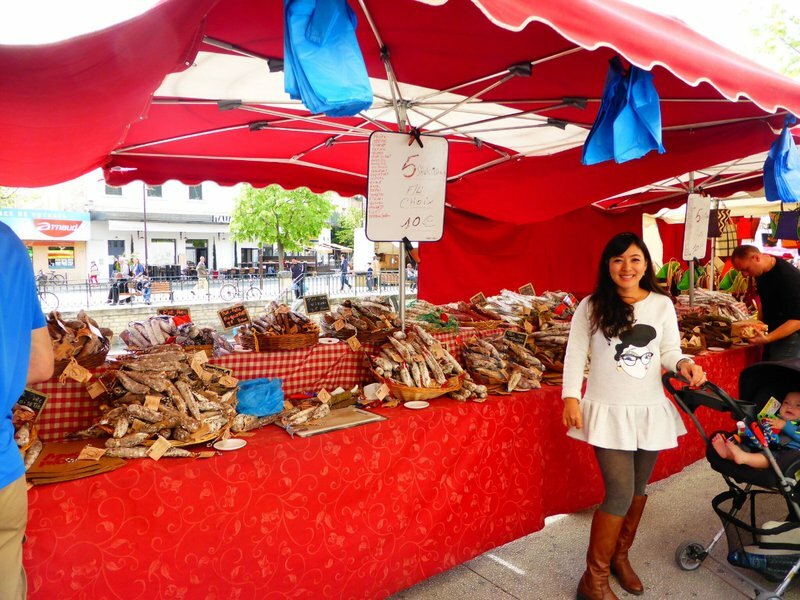 By the time we reached the second half of the market, the vendors were already starting to pack up. 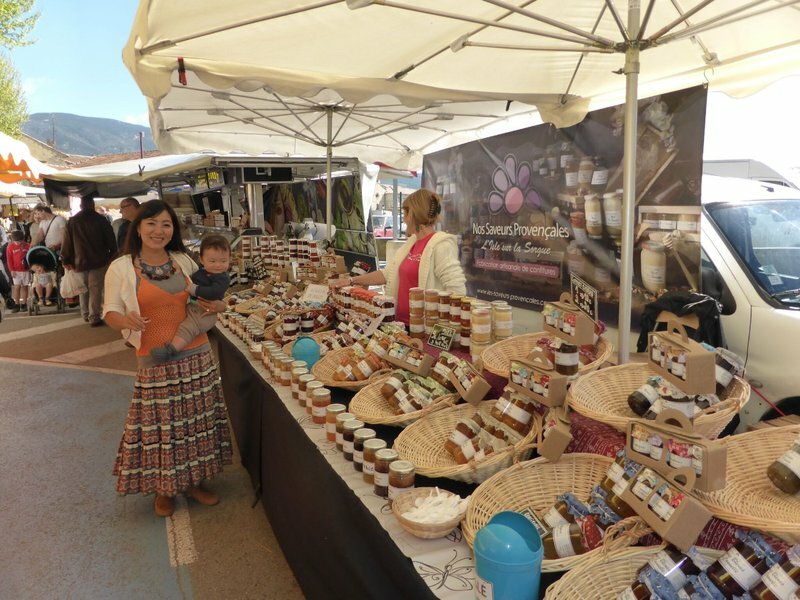 Nevertheless, it was a great introduction to the farmer's markets of Provence. 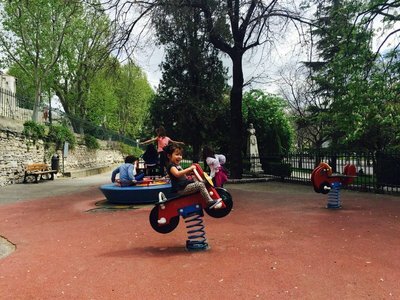 We'd managed to consume enough snacks and samples at the market to keep the wolves of hunger at bay, so when we passed a small playground on the way into the old town we allowed the kids to have a little fun. We ended up having a little fun ourselves as well. 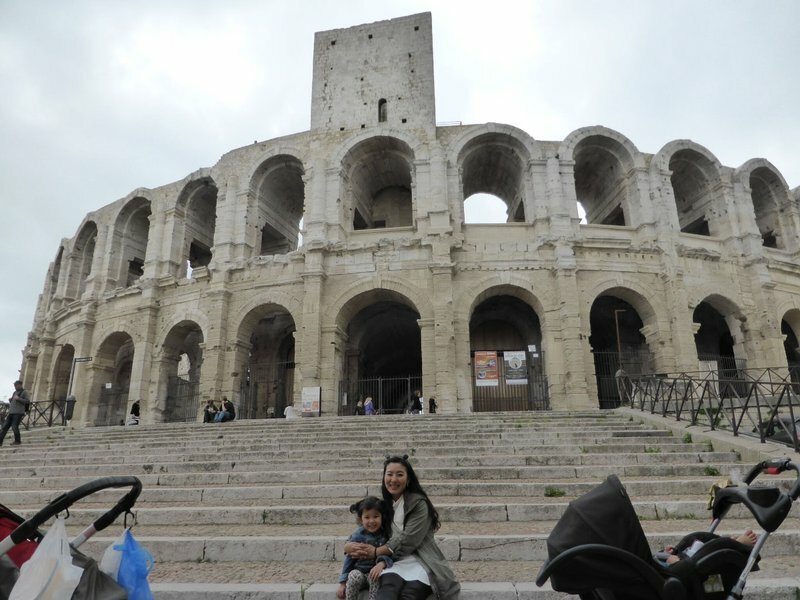 The most famous sight in Arles' old town is the well-preserved two thousand-year-old amphitheatre, which is still used for bullfights and dramatic performances. 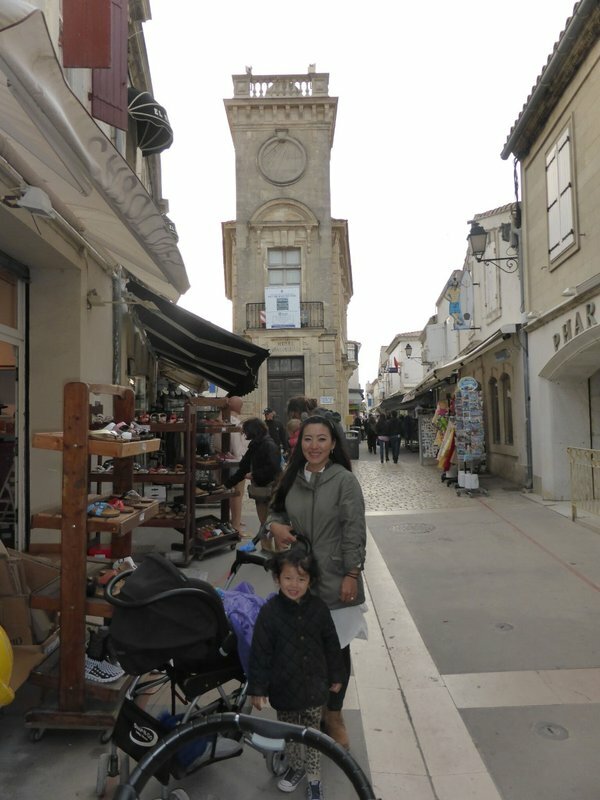 The rest of the old town was pleasant enough but we didn't find anything that caused us to regret not having made Arles an overnight destination. From Arles, we continued southward into the Camargue. 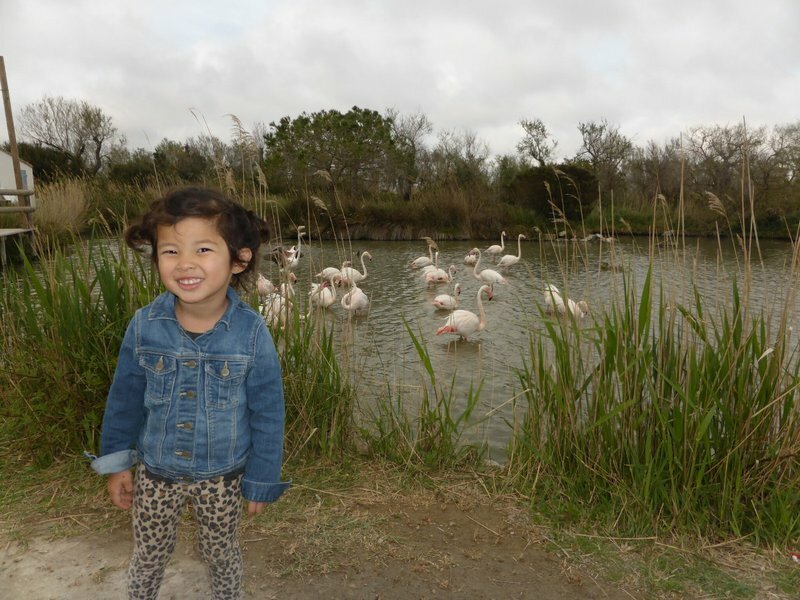 This unique wetland is full of activities like boat rides and horseback trails for normal travelers, but I had struggled to find a way to experience it with the three little ones. Eventually I settled on the Parc Ornithologique du Pont De Gau, a large bird sanctuary, and it proved to be a good choice. 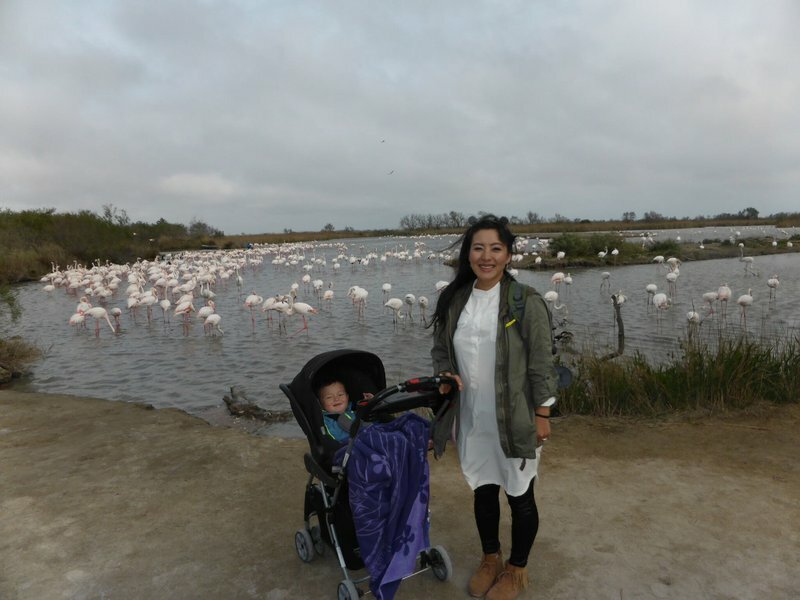 We enjoyed walking the trails and looking at the huge flocks of flamingos that call the park their home. 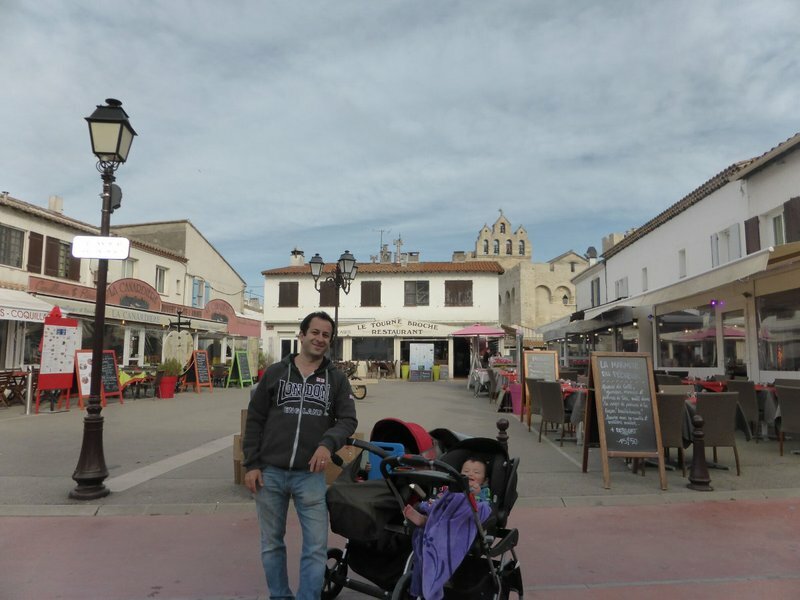 The coastal village of Saintes-Maries-de-la-Mer is the capital of the Camargue, and one of the few places there large enough to call itself a town. The population swells from 2500 to 50000 in the summer (thanks Wikipedia), but the streets seemed far short of capacity on this gusty April evening. This was our first experience coming face to face with the icy Mistral, and it was memorable. When the wind picked up, we felt like chunks of playdough being rolled by giant hands. 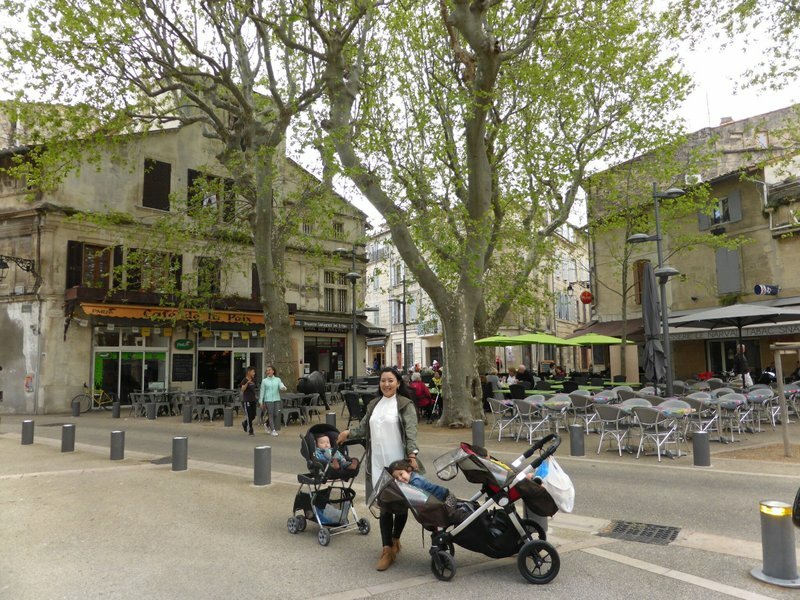 We learned quickly to keep both hands on the strollers, or the Mistral would have taken our kids for a long unaccompanied ride down the main avenue. 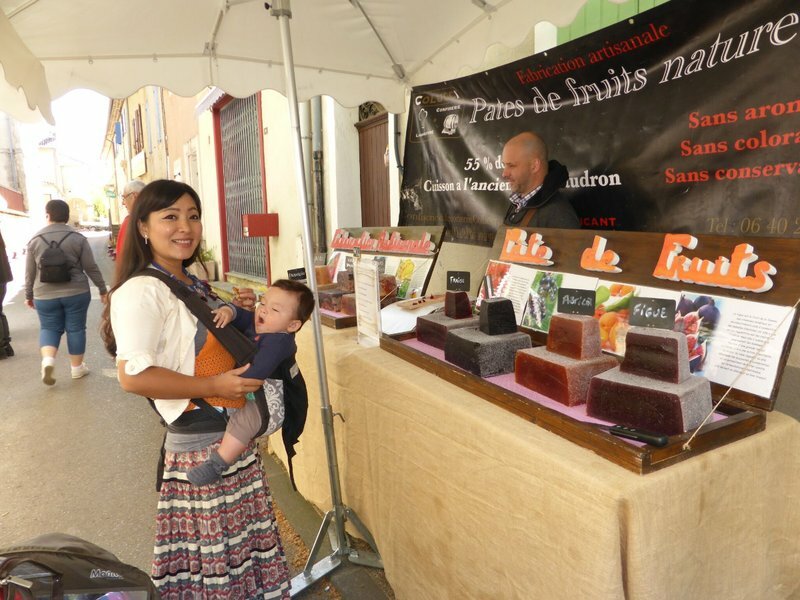 Despite the windy chill, Saintes-Maries-de-la-Mer had plenty of stores and restaurants open for business and we picked up some jams and sausage for breakfast the next morning. We were fortunate to squeeze into the only available table at the Lonely Planet recommendation Ô Pica Pica, where we had another of our best meals of the trip. Fresh sea urchin, whelks, and grilled fish right at the shore where it was caught. It doesn't get much better than that. It was long after nightfall when we got back to Avignon. I struggled to navigate the narrow Les Halles garage adjacent to our building without ripping the sides of the Iceberg, and decided that parking in the outdoor lot outside the walls was worth the walk. 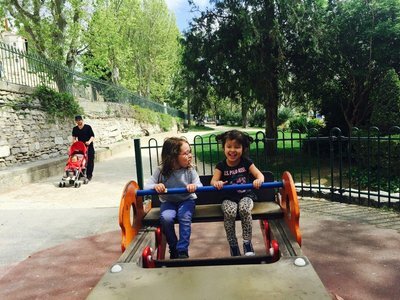 Sunday morning we rose early again, fed the kids, and made the half hour drive to L'Isle sur la Sorgue. 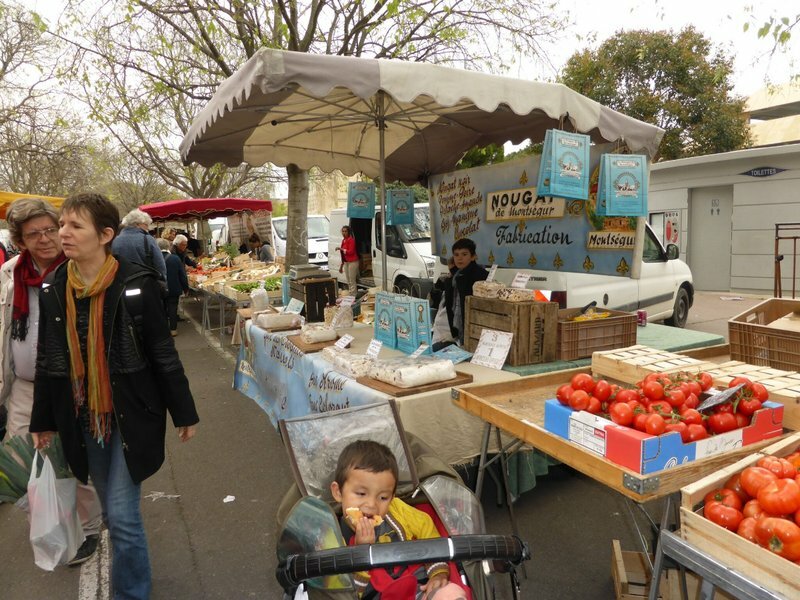 The lots dedicated to the weekly market were already full so we spent another twenty minutes on side streets attempting to find a parking spot that wouldn't be likely to get the Iceberg booted or towed. 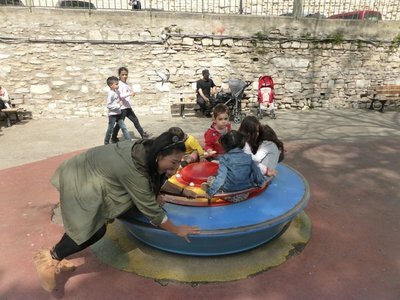 The town gets its name from its location on an island formed by a split in the river Sorgue. The old town and the market are on the island, although over the years the town has expanded and the vast majority of inhabitants live outside the island. 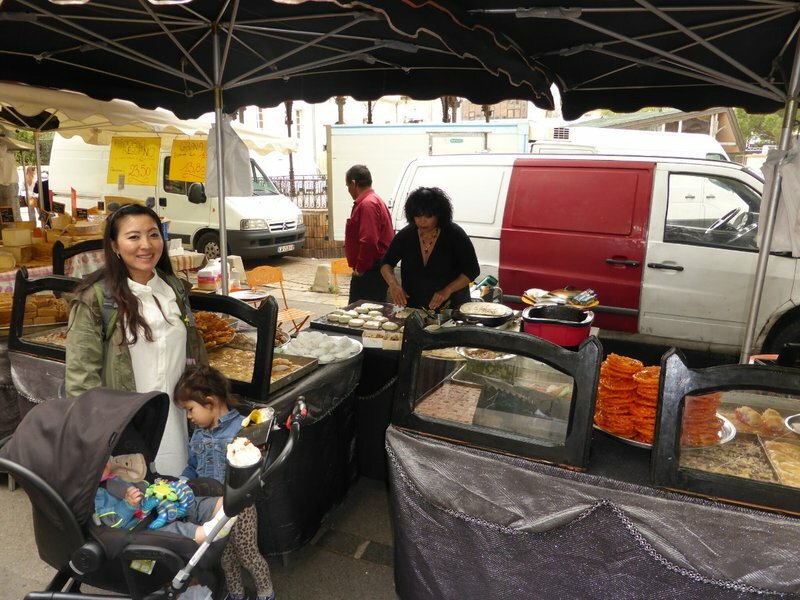 L'Isle sur la Sorgue is a fixture on the tourist circuit because of numerous preserved water wheels as well as an enormous number of antique dealers. 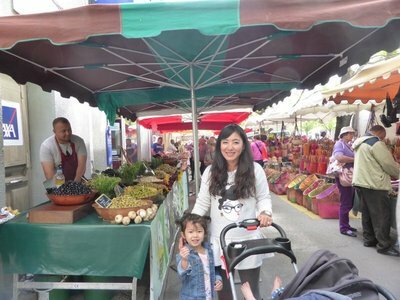 The market was naturally crowded but had an excellent variety of produce and crafts. We bought a cantaloupe that the vendor kindly sliced for us so the kids could eat it messily as we progressed through the stalls. 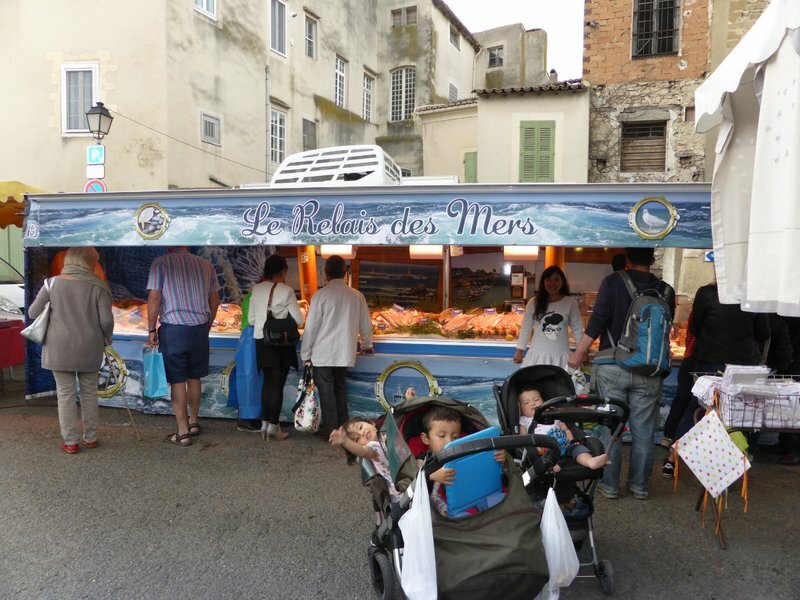 One highlight was a large seafood stall where we bought and ate violets, a species of sea squirt with a leathery shell. The vendor cut the shells for us so we could eat the bright orange meat, which had a strong taste of iodine. Back in the Iceberg, we had a bad moment when I found myself unable to move the vehicle in any direction. It felt as though the wheels were caught on some huge obstruction but despite examining the van from every angle I couldn't see anything touching any wheel. I was actually considering calling for roadside assistance when I realized that the automatic parking brake hadn't disengaged because I hadn't fastened my seatbelt. 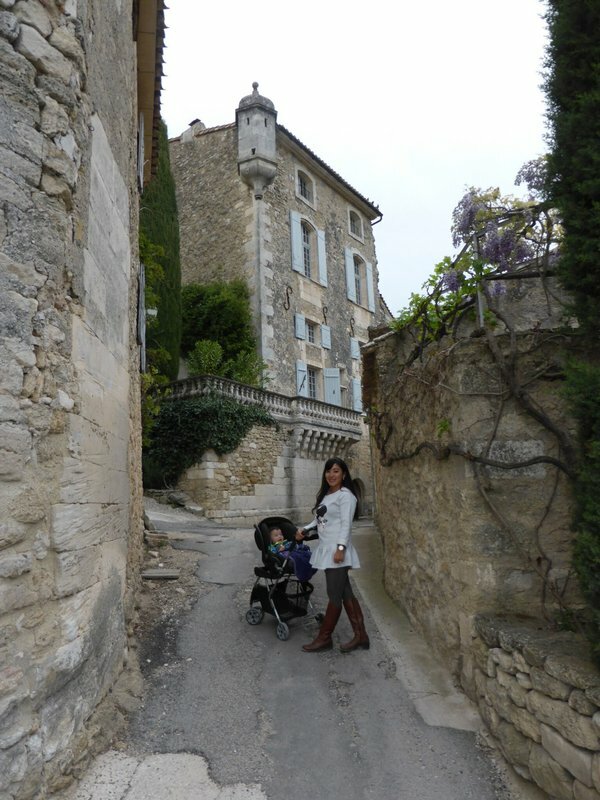 I sheepishly pulled onto the road and we continued eastward to Saignon. 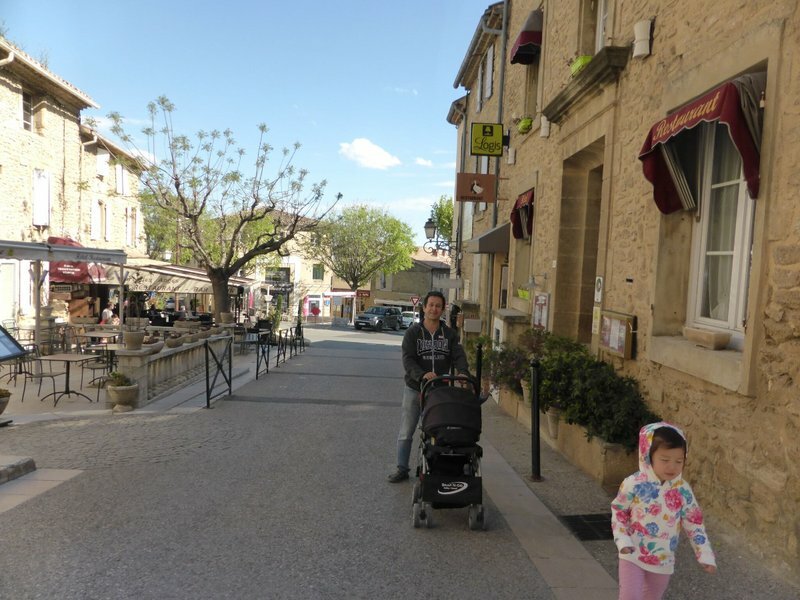 Saignon was our first town in Parc Luberon, a large, natural area in the Provence hinterland filled with ancient, well-preserved villages. 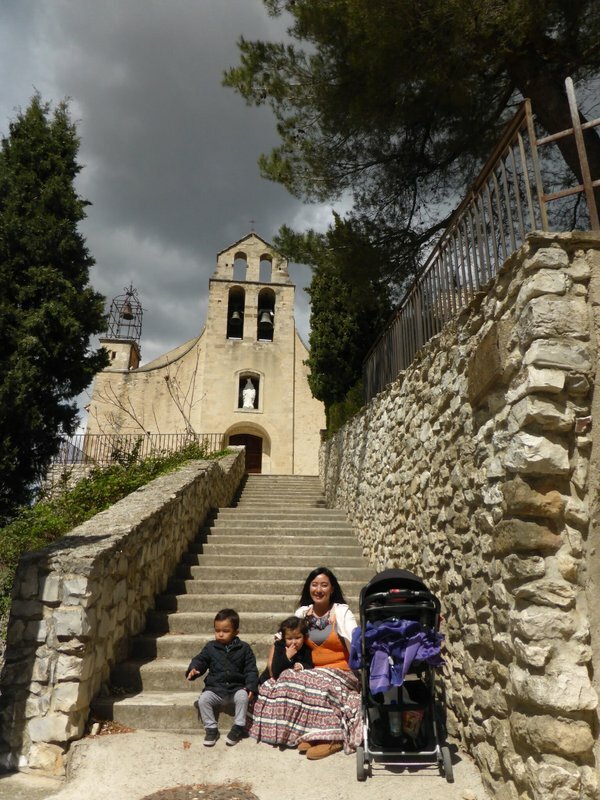 We didn't spend much time in Saignon since the medieval town was small and we couldn't take the kids up to the main attraction, the Rocher de Bellevue. 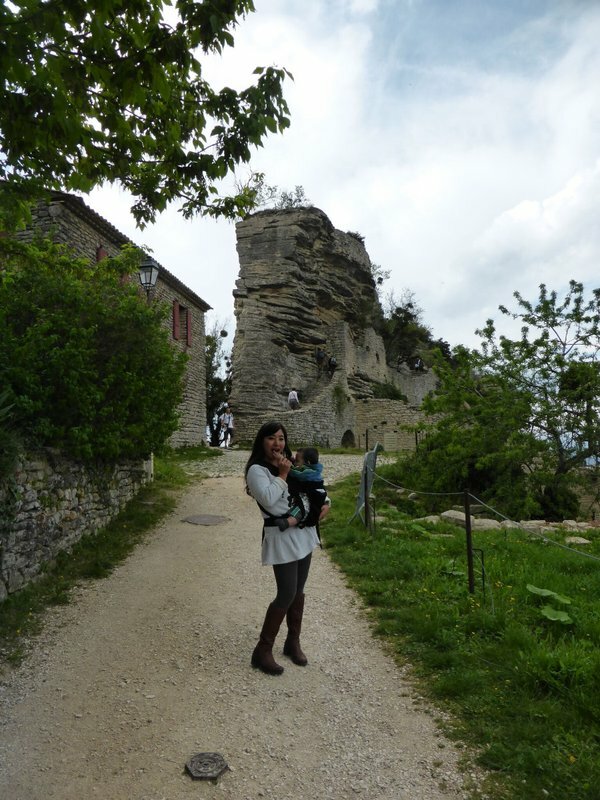 No one seems to know what role this tall, layered rock with stone fortifications played in the ancient town. In the end I left Mei Ling with the kids and climbed the steep stairs up the rock to the flat crest, from which I had great views of the surrounding valley. Our next stop was Ménerbes, a town made famous by the books of Peter Mayle. We hadn't read the books, so we were just there for its reputation as a pretty medieval town. 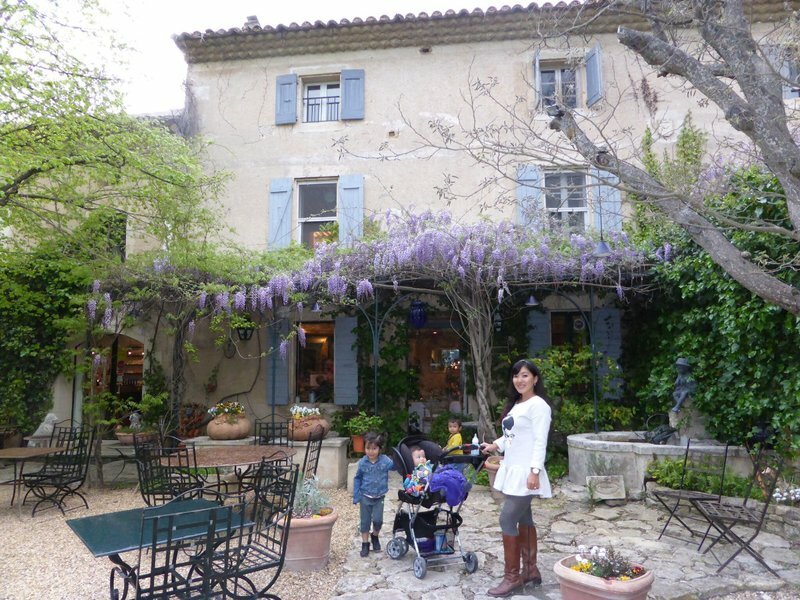 Mei Ling was enchanted by the purple wisteria flowers that seemed to hang from every eave. 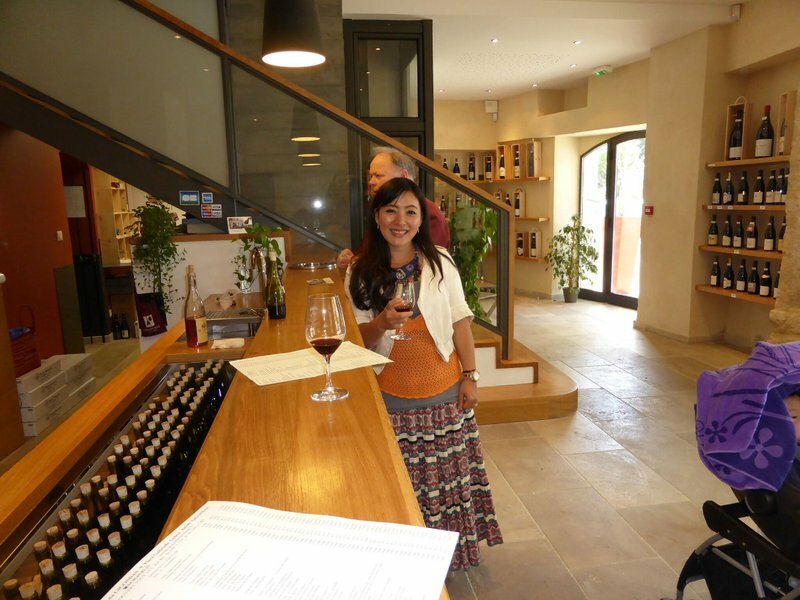 At the top of the hill we found Maison de la Truffe et du Vin, an interesting establishment that is part restaurant, part gourmet store, part tasting room. A lush, manicured garden in the back overlooked the valley. We bought a couple of Ice Bags, sturdy collapsible bags that could be filled with ice and water to keep wine chilled at a picnic. Having departed Ménerbes, we found ourselves close to La Forêt des Cèdres. 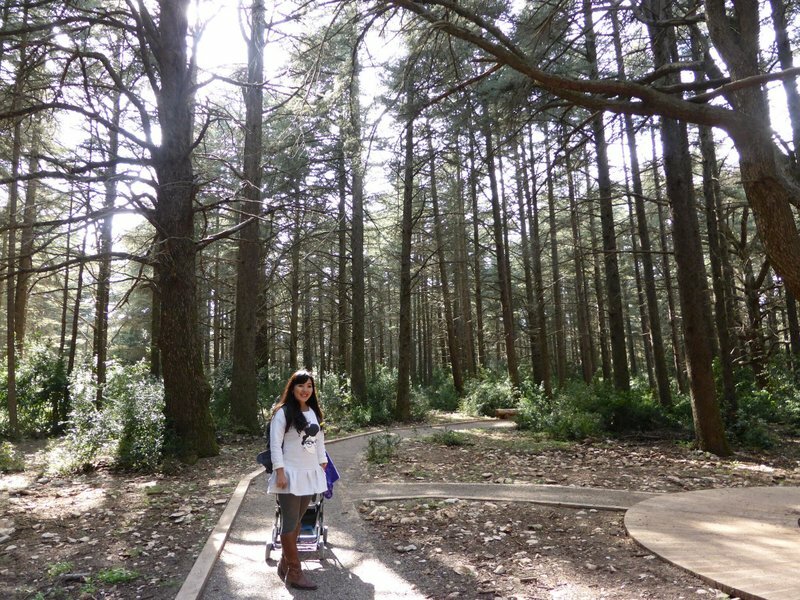 This unusual little forest is composed almost entirely of cedar trees that grew from seeds brought back by a local who had traveled to Moroccco. The quiet paths provided a restful counterpoint to the strenuous climbs in Saignon and Ménerbes. 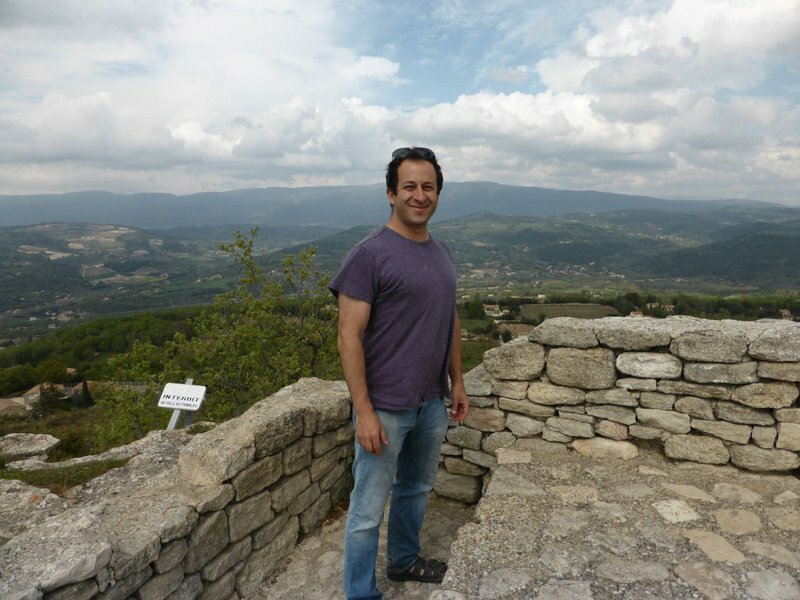 I had hoped to make it to Gordes but it was getting late and it seemed more prudent to ensure a dinner reservation, given that I was unsure how many restaurants would be open on a Sunday in shoulder season. 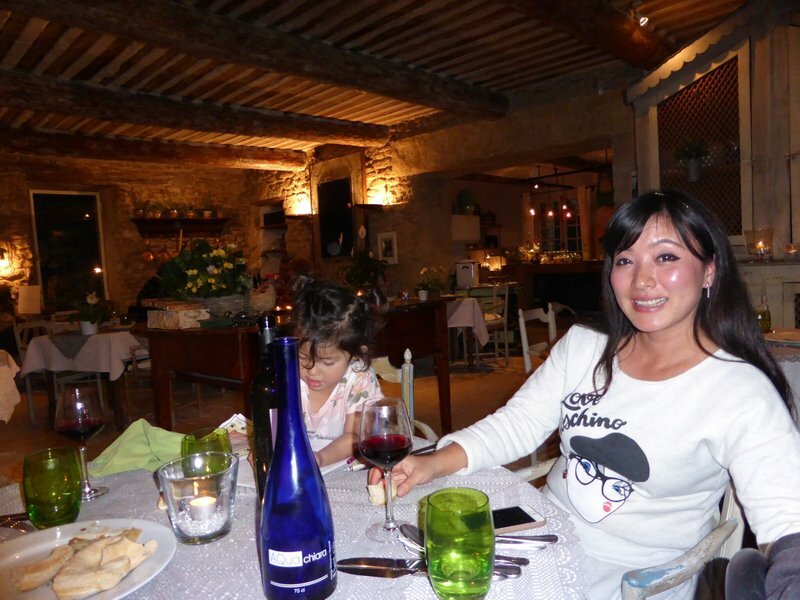 I was surprised to get a table at a well-regarded farmhouse restaurant outside of Gordes. The small dining room seemed very formal and the hosts' eyes seemed to widen as we brought in the kids and Spenser's stroller. 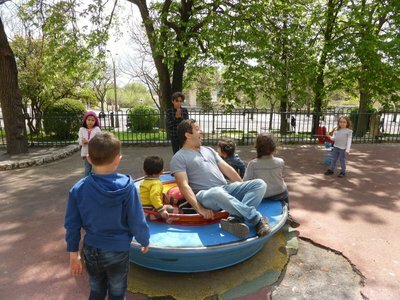 The kids were a little rambunctious although manageable during the meal and in the end had befriended the hosts and the diners at the other occupied table in the restaurant. I wish I could say the meal matched the setting but unfortunately it was forgettable. 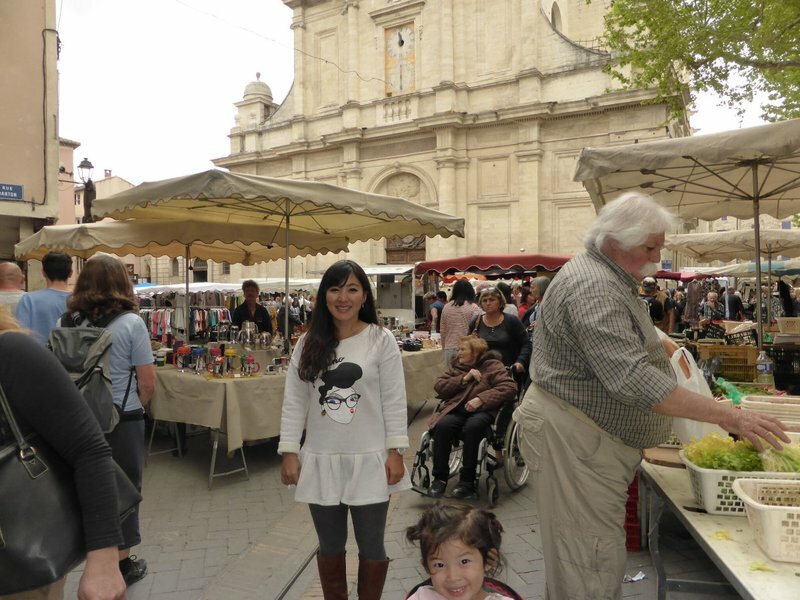 However, we returned to Avignon with a feeling of success thanks to the market and the three towns we had been able to visit. 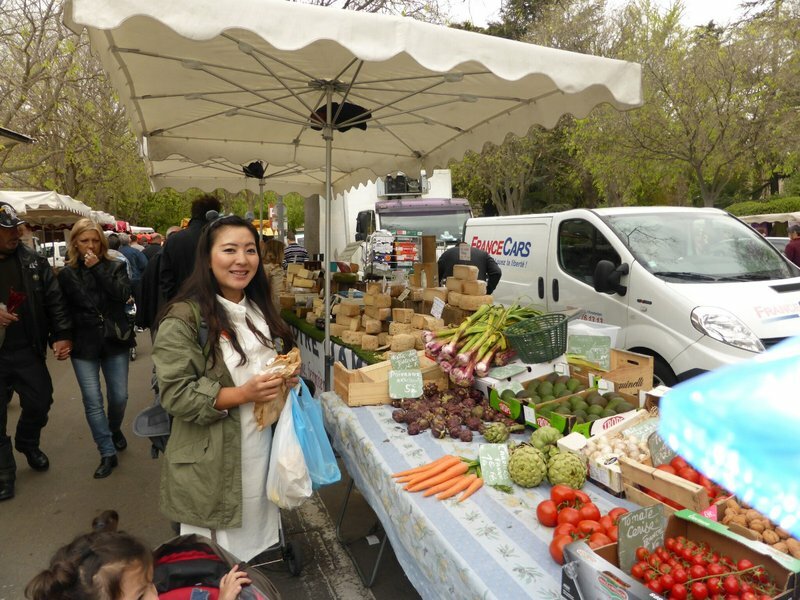 Based on my research the best Monday market was in Bédoin, forty minutes northeast. 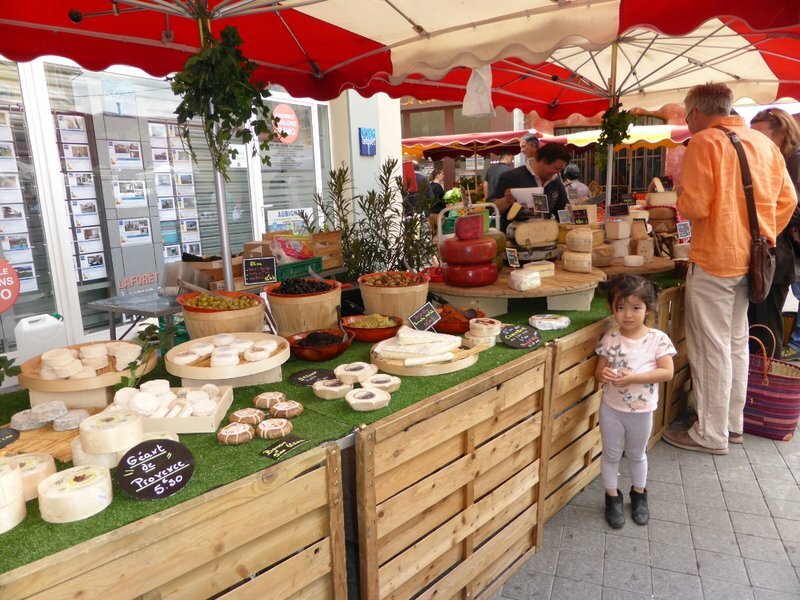 By this time, a lot of the produce was starting to look familiar and we even recognized some of the vendors from Arles and L'Isle-sur-la-Sorgue. 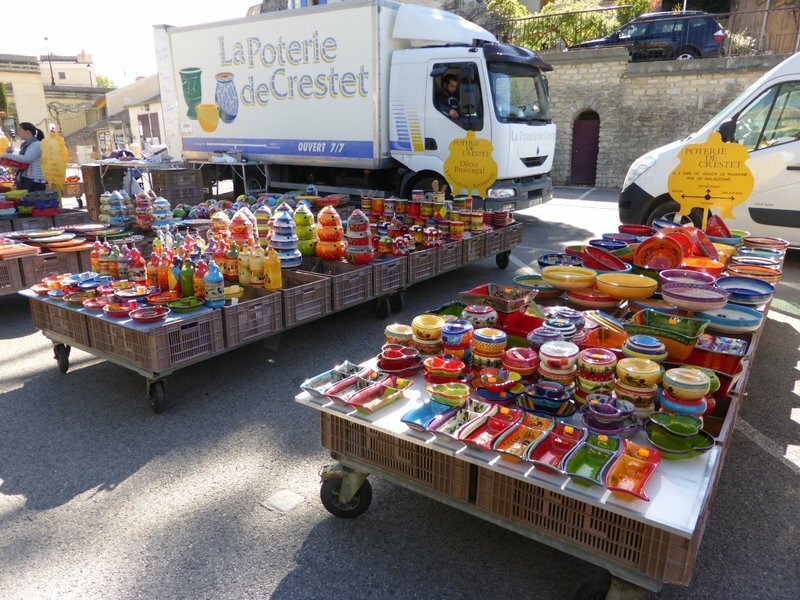 The crafts at Bédoin were more impressive, especially some brightly colored pottery from the neighboring hamlet of Crestet. 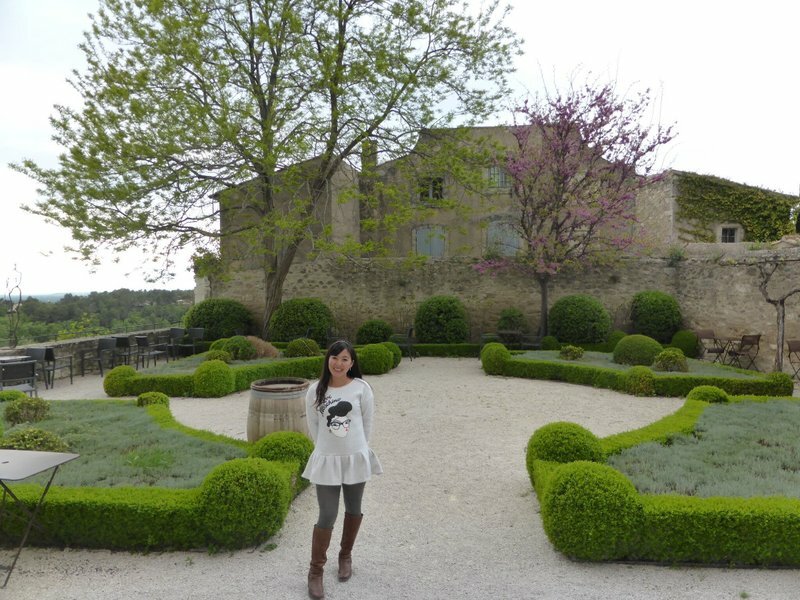 There didn't seem to be anything in Bédoin to justify roaming around outside the market so we headed west to Gigondas, a small village in the Côtes du Rhône best known for red wine. 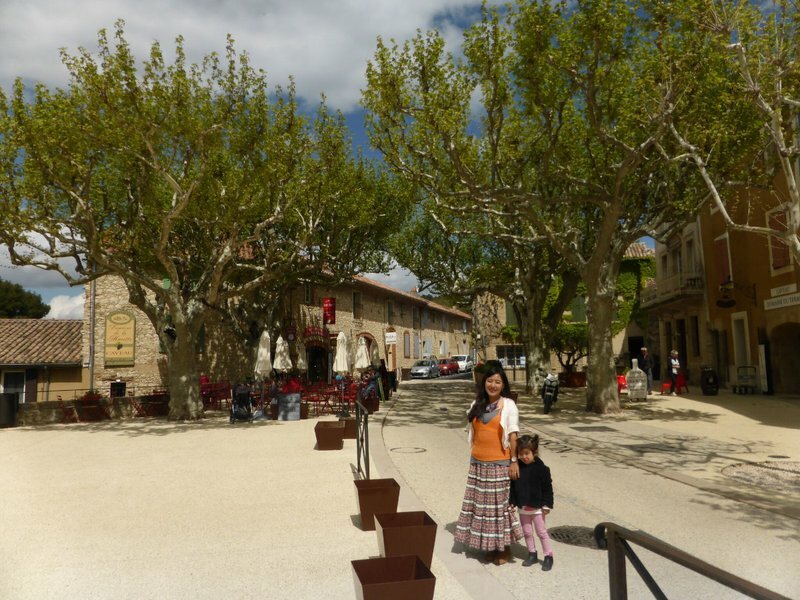 We started off in the sunny central square, where we tasted a few wines at the local Caveau. As usual, seeing the rest of the town required climbing a steep hill. We were rewarded at the top by a solitary church, a small vineyard, and the requisite beautiful views of the surrounding countryside. 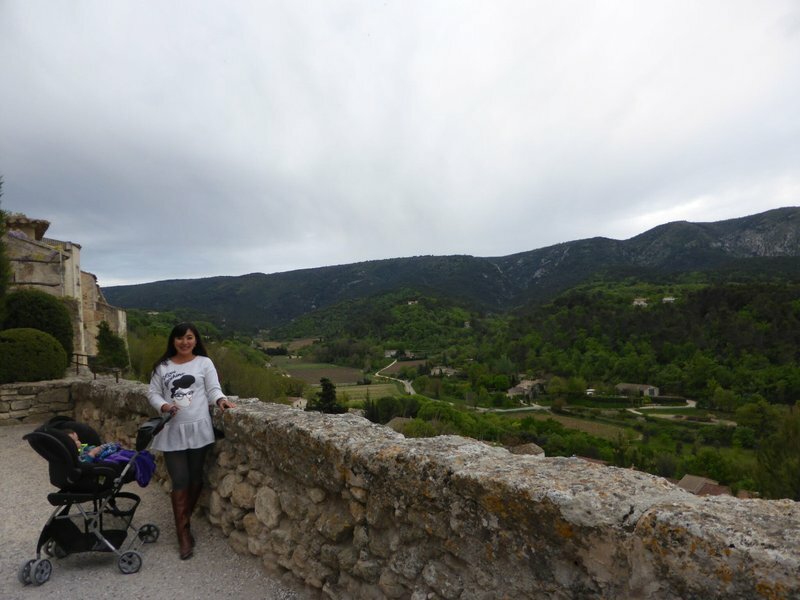 We moved on to another nearby wine town, Chateauneuf-du-Pape. We didn't spend very long here as the town was less bucolic than the others and the afternoon had become chilly. We were very close to our base in Avignon at this point and decided to head home. 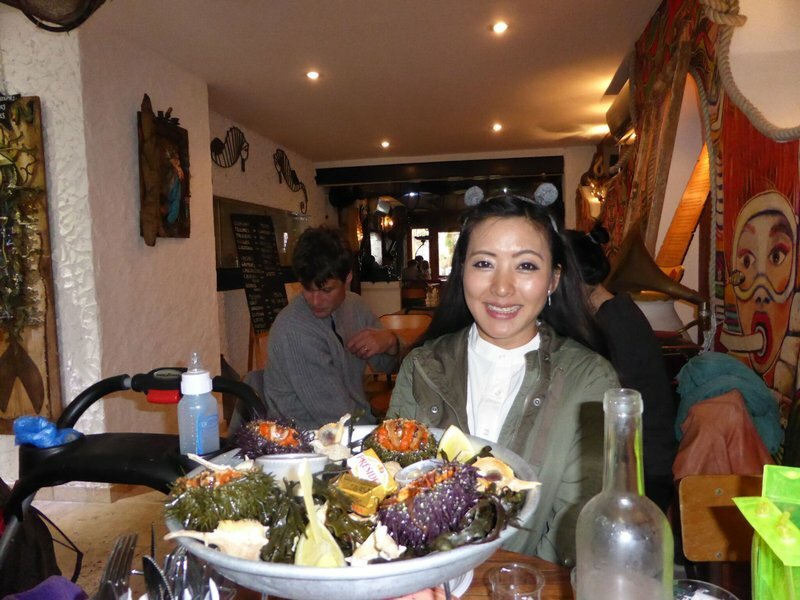 We tried to do some strolling around Avignon but the sharp wind took the fun out of it, so we called around and eventually found a restaurant that was open on a Monday. Dinner was good but not memorable enough to record the name of the restaurant. Fortunately we'd already taken care of the parking so we only had to walk a couple of blocks through the gusty evening.